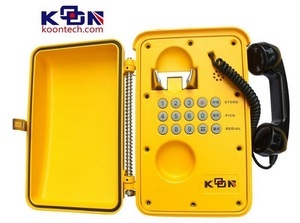 What's the advantages of your Koontech Military Telephone KNSP-11 Waterproof Public Telephone compared with others9 a. 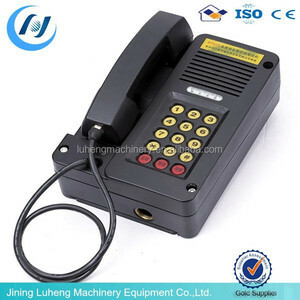 Can I do customized of the Military Telephone KNSP-11 Waterproof Public Telephone 9 Yes, we support OEM \ ODM order. 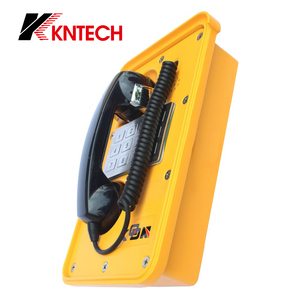 Can I choose other colors of the Military Telephone KNSP-11 Waterproof Public Telephone 9 Yes, normally the default color is yellow. 4. Hearing Aid compatible receiver, Noise canceling microphone 5. Handset integrity wiring to enable the telephone system to check if the telephone uni8t is still operational. 6. 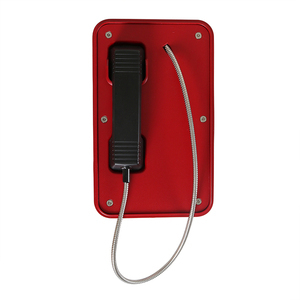 All of the components including handset telephone receiver and transmitter, keypad, buzzer, circuit board and cabinet are designed to be multi - layer waterproof and dust - proof which is up to Class III grade. The whole machine is up to national standard GB4208-93 IP 66. 7 Phone is provided with high stability, high anti-jamming capability, and it is up to national standard GB/T 15279-94. 8. Lightening protection to ITU-T recommendation K.
Heavy duty voip telephone KNSP-01 weatherproof phone waterproof telephone Specifications The Weatherproof phone will be designed to work on Railway, metro, tunnel,etc. 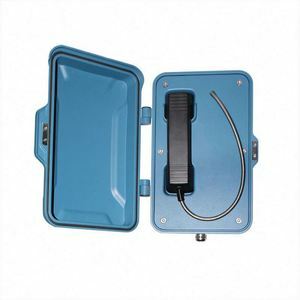 Housed in robust aluminium die case with spring loaded door, it will offer protection against the outdoor environment, vandals resistance and rot resistance. 10. Handset integrity wiring to enable the telephone system to check if the telephone unit is still operational. 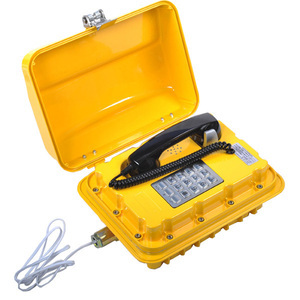 Alibaba.com offers 12,073 ip67 waterproof telephone products. About 36% of these are mobile phones, 2% are corded telephones, and 1% are telephone headsets. 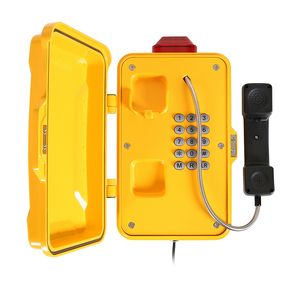 A wide variety of ip67 waterproof telephone options are available to you, such as antique telephone, fixed wireless phone, and caller id phone. You can also choose from no, yes. As well as from free samples, paid samples. 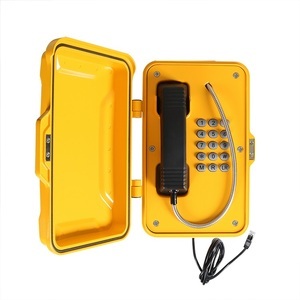 There are 12,082 ip67 waterproof telephone suppliers, mainly located in Asia. The top supplying countries are China (Mainland), Hong Kong, and Taiwan, which supply 99%, 1%, and 1% of ip67 waterproof telephone respectively. 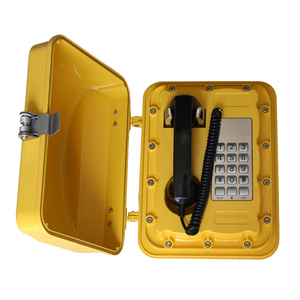 Ip67 waterproof telephone products are most popular in North America, Western Europe, and South America. You can ensure product safety by selecting from certified suppliers, including 2,928 with ISO9001, 532 with Other, and 172 with ISO14001 certification.